The FAS Office of Educational Technology is pleased to offer support to faculty teaching online in accordance with relevant school policies and procedures and in collaboration with their departments and programs. 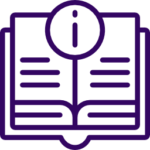 Our staff can help you navigate the online course development process and connect you with resources at NYU. Here’s a short overview of what that process will look like. Crafting an online course requires both pedagogical and technical expertise that is different from the skills needed to teach face to face. An Educational Technologist can help you consider every aspect of the online course development process, from planning through implementation and assessment. Our office uses the Backwards Design method, first identifying student learning outcomes then aligning course content accordingly. In an early meeting, we’ll map your curricular goals, teaching style, assessment methods, and overall vision for your online course. We’ll select innovative approaches and technological integrations to bring your course to life online. When possible, we like to have faculty planning to teach online try out these new approaches in their face to face courses through strategies such as incorporating flipped classroom elements. Working with an Educational Technologist to pilot new course materials in a residential course allows you to become fully acquainted with new technologies and gather valuable feedback from students. After applying a flipped classroom approach for a face to face class, we will work with you and any necessary technical team members to build a full prototype of the online course in a Learning Management System (LMS). This process will include creating all learning materials, video, audio, text, graphics, and any technical integrations. Our office will help ensure your materials meet accessibility standards and provide you with all necessary training for the online tools and platforms you’ll be using. During the development process, you’ll learn best practices for managing an online course and for changing your teaching strategies to be more effective in this environment. We’ll also consult with Learning Analytics experts to optimize the course to give you detailed information on your students’ engagement and progress. The successful online classroom is a source of deep learning and rich community, and we’re excited to help you build a great online course. Contact our office to learn more about developing online courses. Use our Liaison Finder to connect with your school’s Educational Technologist.